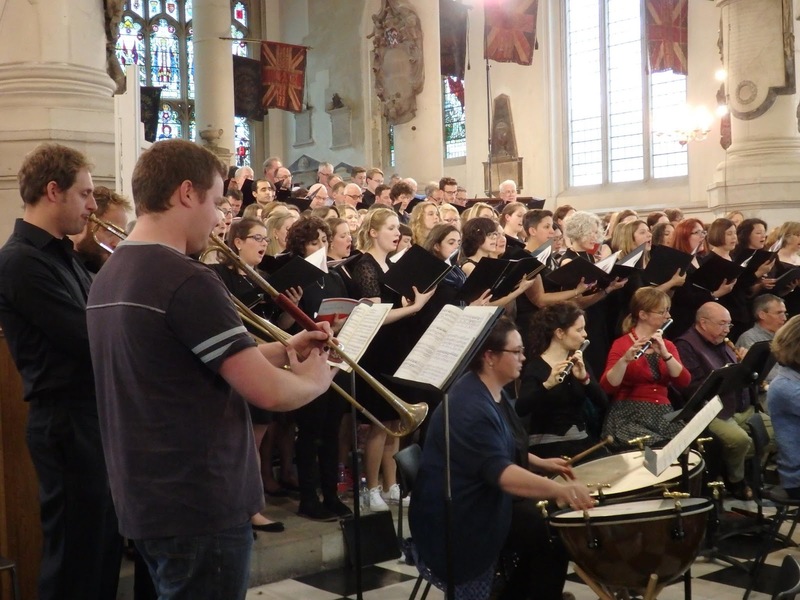 On Saturday 21st May 2016 I performed with Sinfonia Britannica in the National Musicians’ Church in London, otherwise known as St Sepulchre-without-Newgate on Holborn Viaduct. Joanna Tomlinson directed the large and enthusiastic voices of the Constanza Chorus through three demanding works: Vivaldi’s ‘Dixit Dominus’ RV595, Monteverdi’s ‘Beatus Vir’ and J S Bach’s ‘Magnificat’ BWV 243. The choir was responsive and clear and Joanna Tomlinson kept the group together in this generous acoustic. An intimate performance of Monteverdi’s ‘Beatus vir’ preceeded J S Bach’s ‘Magnificat’. Our trumpet section consisted of Russell Gilmour (1st), William Russell (2nd), Gareth Hoddinott (3rd) and Rosie Toll (timpani). The concert was enjoyable and there was a celebratory feel throughout. Well done to all in the Constanza Chorus, to Sinfonia Britannica, and especially to the conductor and soloists who were all brilliant.